The Bee Informed Partnership provides many important services to beekeepers, researchers, and the general public. This site is a platform for publishing useful tools that are open and free for all to use. We also have a blog site where we frequently publish our research findings, important news, and fun beekeeping info. 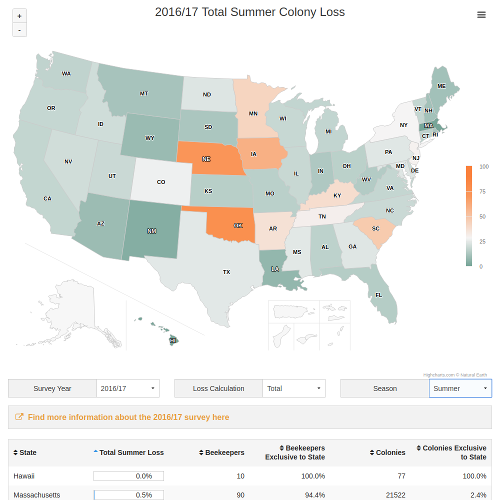 Interactive map that displays nearly a decade of colony loss for each state as reported by the National Management Survey. 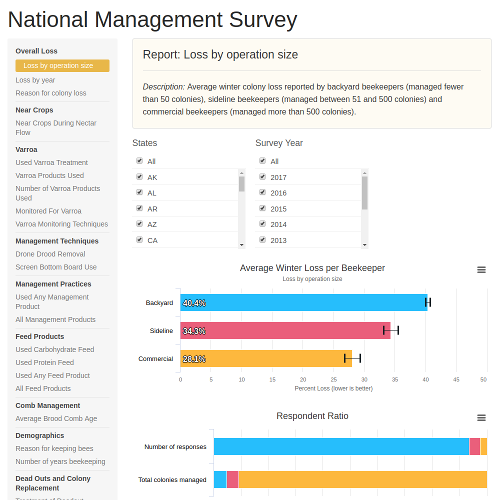 Dive deep into all the metrics analyzed form the National Managment Survey. 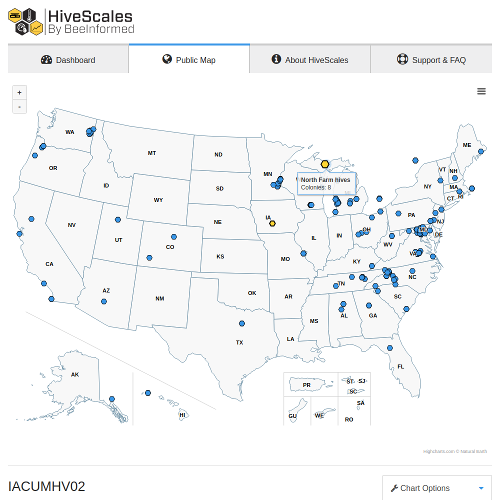 Public map of hundreds of hive monitoring devices with live weight, temperature, and humidity readings. 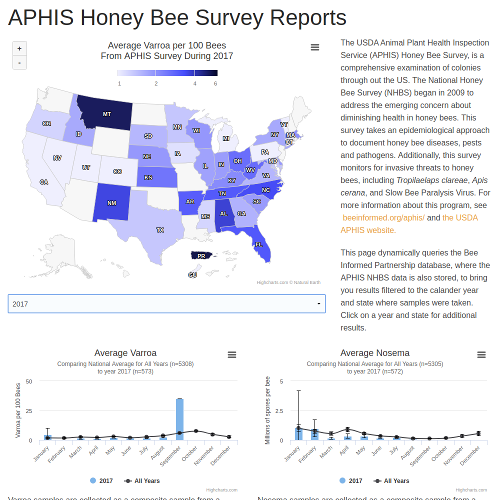 Users with a BIP Ready hive monitoring device can use the live dashboard to explore and annotate their data. 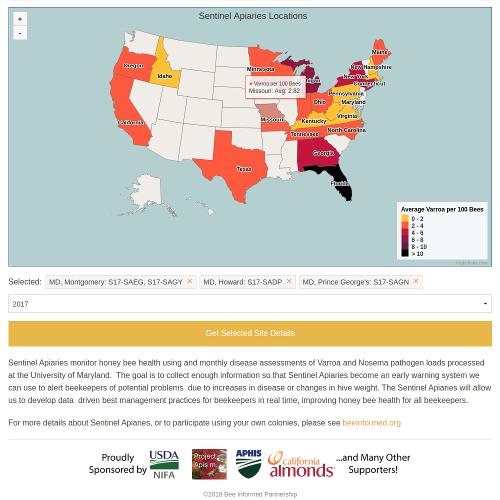 Browse Sentinel Apiary sites collecting data on hive health to serve as an early warning system to conditions in surrounding areas. 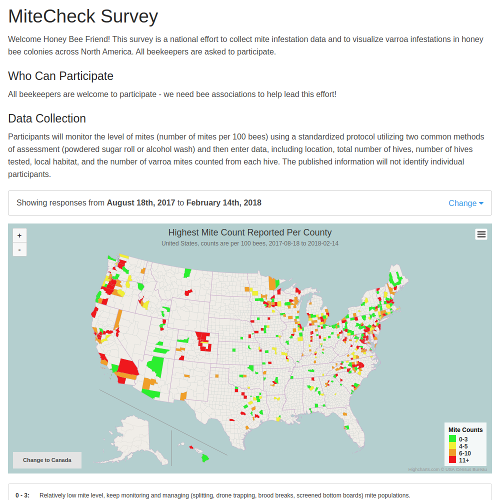 Thousands have contributed already, be a citizen scientist and submit your mite levels on the open survey - no registration required. Use the interactive map to see what others in your area are reporting. Wonder what the experts recommend for the best management practices? Take our anonymous survey and see how your practices score. Use the interactive map to view reported virus levels per state, select from over a dozen known viruses. 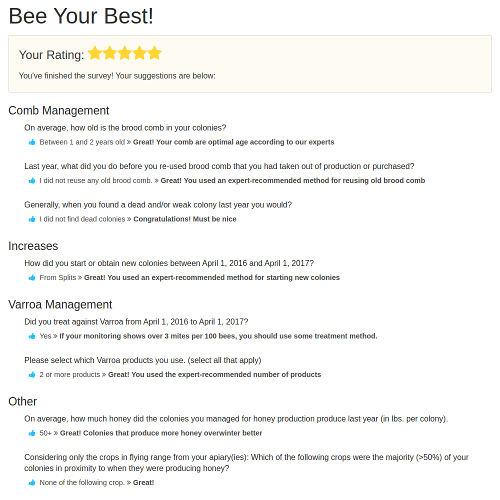 Review results from random samples of honey bee colonies. This data gives a broad picture of the health of US colonies from 2009 to present.